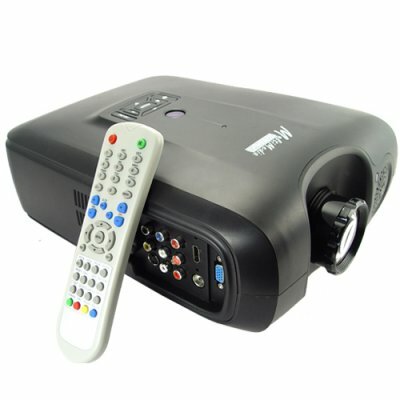 Successfully Added Multimedia LCD Projector with HDMI and DVB-T to your Shopping Cart. This multi-media projector is equipped with a 800 x 600 native resolution, ideal for PowerPoint presentations in providing clear, crisp images in a number of settings (office, conference rooms, classrooms, etc.). Using a handy VGA input, this flexible unit would be perfect for use in conjunction with laptops, netbooks or notebooks.